The 8th Annual Veterans Day Golf Tournament hosted by Fairways For Warriors on November 9, 2018, was a success netting $55,000 that will be used to help combat veterans from all wars and conflicts for golf instruction, family support, and future events. 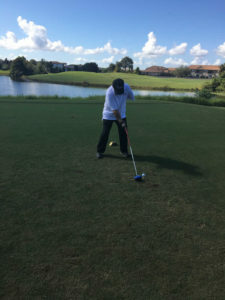 Fairways For Warriors invited new members to come out to Eagle Creek Golf Club in Orlando, Florida, for the very first time to experience the bonds of camaraderie on the links. In addition to the familiar faces and a wealth of volunteers, an eagle named Thunder sat stoically on her perch overlooking the 18th hole. Her presence embodied the American spirit, a metaphor for the overall event. 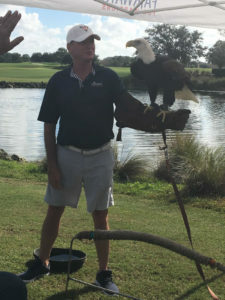 Everyone from golfers to volunteers wanted to take a picture with her at the instruction of her handler David Redd, though there was restraint as this 25-year-old apex predator wasn’t intimidated by anyone. In the morning President Tom Underdown and Executive Director Brian Hicks led a coordinated effort alongside Executive Assistant Kate Wujek responsible for assigning volunteers to offer raffles, sign-up for silent auctions, sell T-shirts and camo golf shoes . Hicks introduced the participating golfers that stood below the deck of the clubhouse to the initiatives that Fairways For Warriors stands for. He then handed off the microphone to Brian Holmes and he offered a prayer before heading out that set the tone for the day that lay ahead. Fairways For Warriors Board Member Robert “BJ” Jackson Jr. , closed out the speeches with a reminder as to why we were all there in the first place: to use the medium of golf to heal unseen wounds. On this hot sunny Friday, 20 veterans paired into foursomes of 144 total golfers and they spent time joking, reminiscing about shared combat experiences, and focusing on the task of playing golf with their fellow brothers and sisters. This unity that golf provides allows veterans to not think about their disabilities and injuries, rather to put that time and energy into the sport and come together to make new memorable experiences. One Fairways For Warriors veteran named Ryan Leighton gave a testimonial later in the day and said, “The goal is to never have others know something happened to us”. 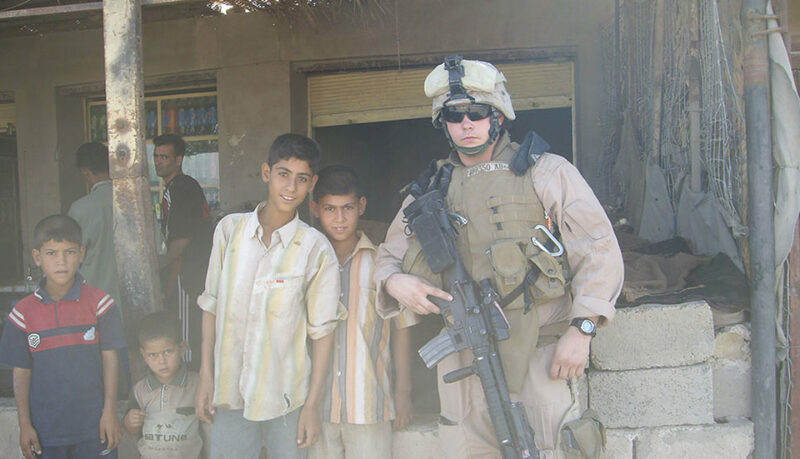 Ryan served 25 years in the Marines retiring as a 1st Sergeant. 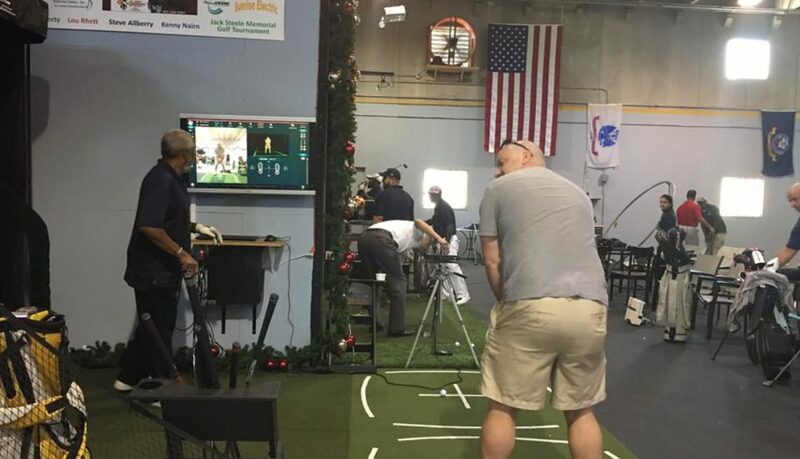 , Ryan is one of many combat veterans at this tournament that preach the positive impacts that golf can cognitively, emotionally, and socially improve and benefit overall health. Everyone was welcoming, supportive for their fellow veteran or volunteer, and genuinely cared about each other’s stories. Some holes had special events, like the “Closest to the Pin” on the 5th, Long Drive on the 12th, $10,000 “Hole in one” on the 18th, and a “Beat the Pro” drawing where golfers were randomly drawn to compete at the chance of winning $100,000 if they made a Hole in One. Unfortunately, no golfer walked away with deeper pockets. After all the teams finished their round of golf, everyone piled into the clubhouse where they were served a buffet-style lunch. The live auction followed lunch and offered unique prizes from a Scotty Cameron Newport Putter to signed frames from many legendary courses including the Old Course St Andrews. 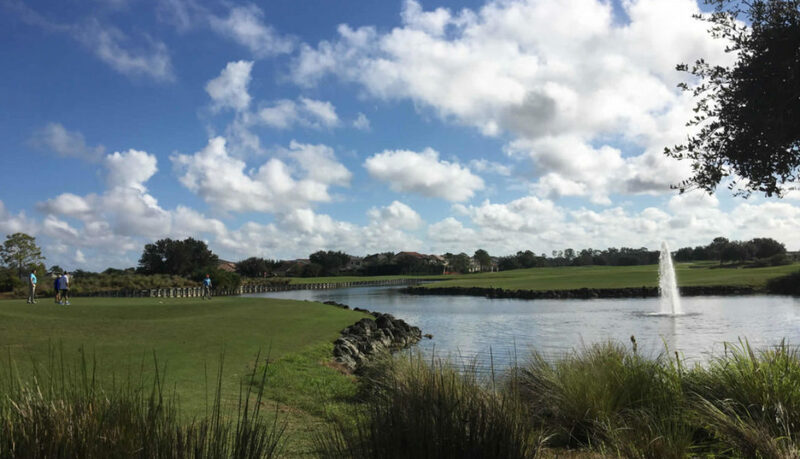 A three-day two-night vacation package in New Smyrna Beach, FL, and smaller items like golf covers and Callaway golf balls were some of the other great options to bid on. In closing, friendships were made, past relationships were strengthened, and everybody left with a smile on their faces. Fairways For Warriors isn’t just any organization with a mission, it’s a family. If a member needs family support , they will provide it (one member got support that helped him get married). If one is having a tough day, they have phone numbers of other veterans they can talk to and connect with as they share similar experiences. But ultimately, all bond over the sense of belonging and the challenge and concentration it takes to play the mental game of golf as it continues to thrive as a healing medium. This writer was honored and privileged to be welcomed during this special day. Do you know freedom, we do! It means you can be who you want to be, you can say what you want to say. You can do what you want to do. But freedom isn’t free. Freedom is selfless, freedom is service, freedom is fighting for for liberty that is often taken for granted. 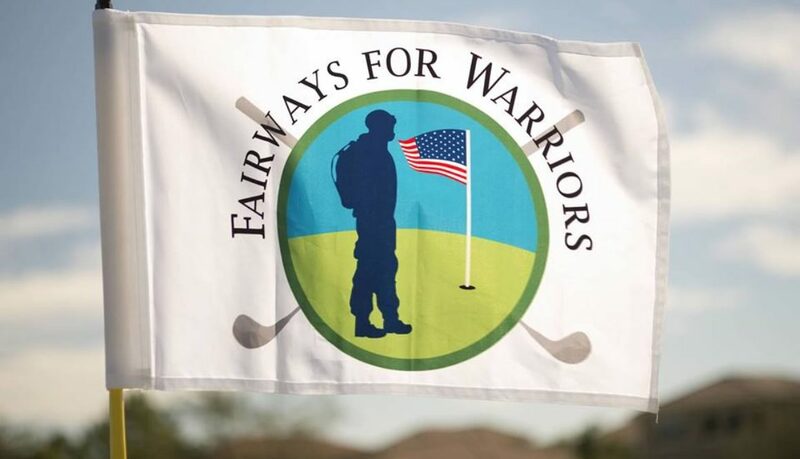 Fairways for Warriors is more than a game of golf, it’s saving lives, it’s saving marriages. It is bringing families together to heal as one. Together we can combat at the 22 service members per day who commit suicide. Let’s eliminate that number! One in 5 returning combat veterans is diagnosed with severe post-traumatic stress disorder, or PTSD. I fought Wars in Iraq and Afghanistan. But the greatest War I’ve ever fought was coming back home, and trying to live a normal life. Fairways for Warriors drew me out of that darkness and gives me a reason to live. Fairways for Warriors saved my life had it not been for Fairways for warriors I don’t know where I would be or whether or not I would even be here today. They made me feel human again. You can be who you want to be because I volunteered. You can say what I want to say because I endured. You can do what you want to do because I sacrificed. You can because I did! 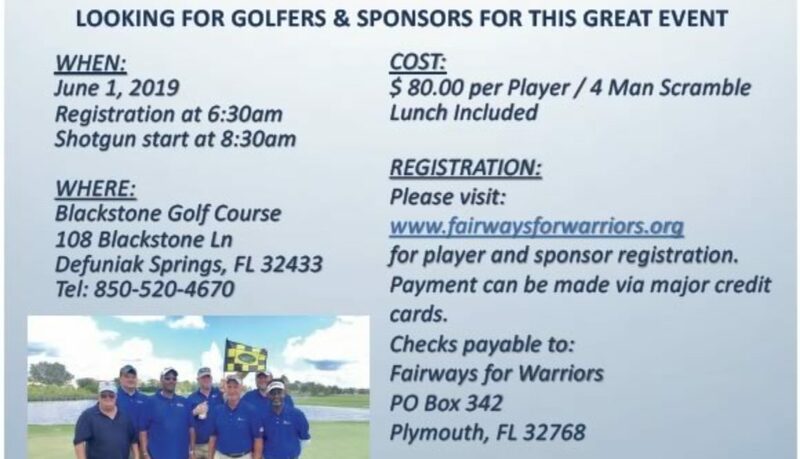 Please donate today to Fairways for Warriors. $0.93 of every dollar donated goes back to those who fought so you didn’t have to. You can because they did!. This is a late post but never too late to say how graciously grateful I am for Fairways For Warriors. I attended my second event this month and I am amazed at how much above and beyond this organization goes for not only veterans but their families as well. There are many organizations for veterans but none like Fairways for Warriors. In just a short period of time this organization has made a positive impact on me and all I want to do is spread the word to as many fellow combat veterans so they can be a part of an organization that is truly genuine on their mission. Not only is this an amazing organization but the leaders and supporters as well are genuine in what they do and say. 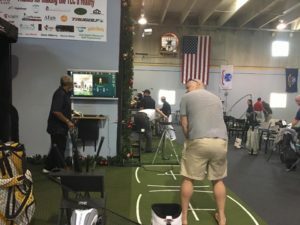 What an amazing organization and a place for combat vets and families to come together and meet a great group of people, have that camaraderie, and just have fun all while improving your golf game or shanking some balls. Keep it up Fairways for Warriors and thank you! Zack Giffin, Tiny House Nation Co-Host to Teach Building Workshop to Veterans. FOR IMMEDIATE RELEASE — Grass Valley, Calif., January 30, 2017 – The project to build a high-quality tiny home for combat wounded veteran, PFC Peter Banach, USMC, was spearheaded by Operation Tiny Home (OTH). 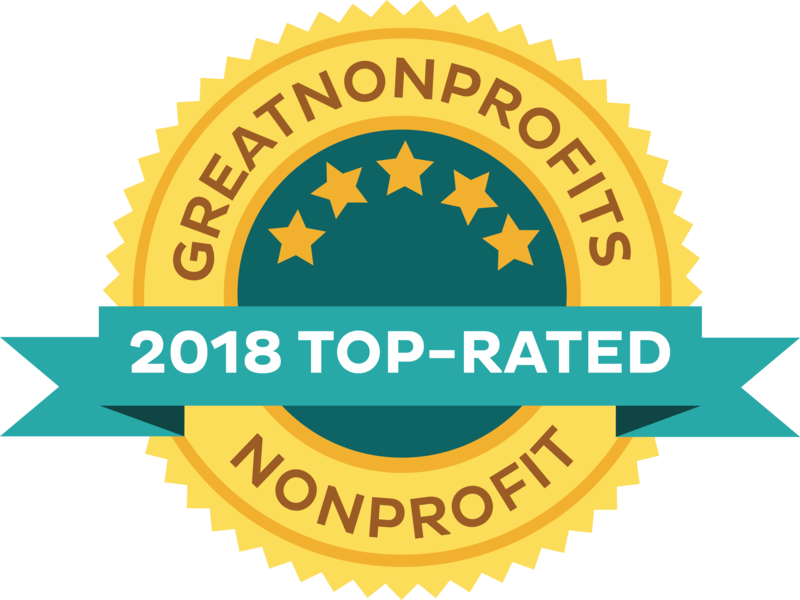 OTH is a nonprofit that assists people struggling with severe housing instability through tiny housing solutions and empowerment training programs. In collaboration with Cornerstone Tiny Homes, Fairways for Warriors and Milwaukee Tool, the build is set to launch this weekend with a free 3-day tiny home building workshop for Veterans on February 4 – 6, 2017, in Longwood, Florida. Operation Tiny Home Board Member and Tiny House Nation, co-Host, Zack Giffin will lead the workshop while participants work together with local industry volunteers to support the project. “Many people have reached out to me, all with the same objective – let’s build tiny homes for Veterans. Quality, yet affordable homes, that provides security, makes them proud of their living situation, and allows them to feel supported by their country in a way that would empower them to reach self-reliance.” said Giffin. 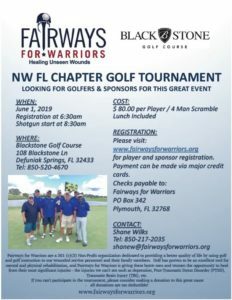 Fairways for Warriors (“Healing Unseen Wounds”) is a 501(c)(3) non-profit that supports combat veterans and their families. Their mission is to help combat wounded warriors with their mental and physical rehabilitation. WESH 2 News featured Fairways for Warriors last night. 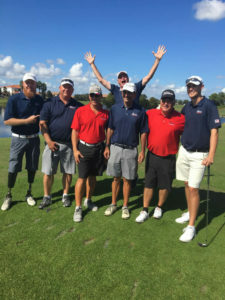 Check out the story on their website: http://www.wesh.com/news/tuesday-at-6-golf-program-helps-recovering-vets-in-central-florida/31431060. 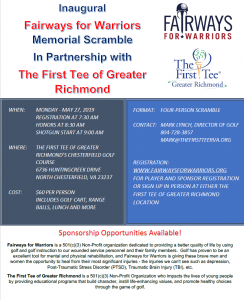 This story helps us raise awareness for the Veteran community and the help Fairways For Warriors is providing.